I make mistakes all the time. We all do. As you’ve probably heard, mistakes are an important part of our learning. However, I don’t think it is always as easy to learn from our mistakes as any catchy statement might make it sound. So, I thought I’d share three quick stories and then reflect on them. The other day I was leading a string mini-lesson (similar to a number talk) and was modelling on a number line what the students were saying. The string involved the question 78-29 and I took answers from a few students. 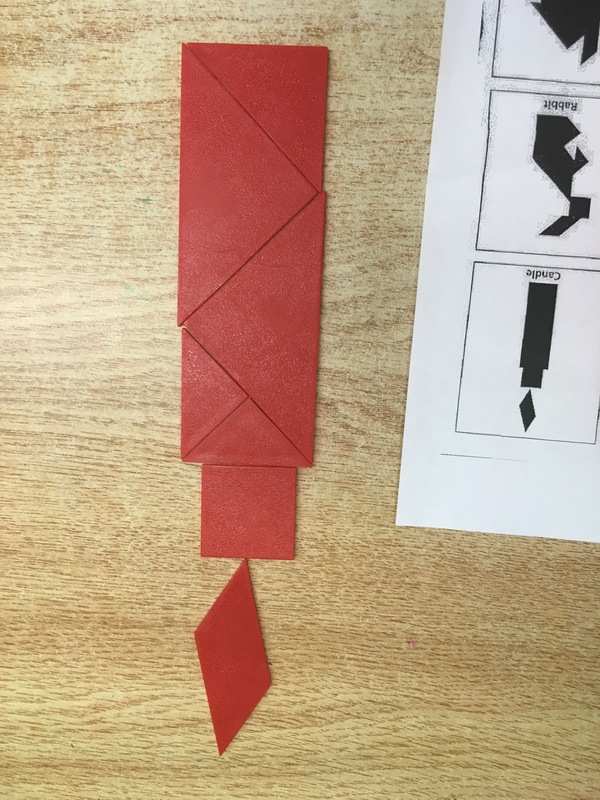 Student 1 explained that they started at 78, went back 30, then forward 1. However, I modelled it on the numberline incorrectly. I took what they mentioned, started at 78 and landed at 38 and 39 instead of 48 and 49. A few weeks ago I was co-planning / co-teaching with two teachers starting a new Contexts for Learning unit (Cathy Fosnot’s The T-Shirt Factory). In our planning we looked at her landscapes of learning, the progression of lessons, did some of the questions together, anticipated student responses, and started gathering needed materials. I joined the classrooms on day 4 of the unit and came in to hear some issues they had with some group members not doing much of the work. When asked, they had told me they split the class into groups of 4 students because the resource told them to. They put each group in charge of figuring out 1 size of T-shirts (as is the context in the unit). 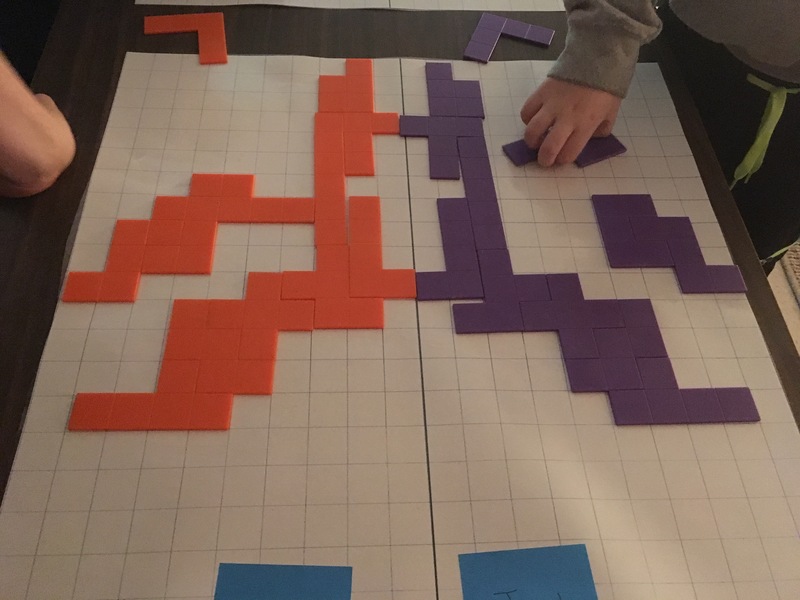 They placed struggling students together to figure out the easier sizes, and “stronger” students together to work on the larger numbers. After the first few lessons both teachers noted that none of the groups had all students working. I suggested that it would be far easier for us to work with pairs instead of groups of 4. I co-taught the same lesson with each teacher that day having students in pairs, but something was still not right. We read through the unit again and realized that we had grouped students incorrectly and had been assigning problems incorrectly! We should have placed 4 random students together and given EACH student their own size T-Shirt. That way each student could work as part of the group, been given their own problem, and we could assign numbers that were appropriate for each student. We ended up having to redo the previous 2 lessons over again so each student would have proper groups and their own responsibilities! In my third year of teaching I went to a workshop where a teacher shared their practices with the group. The workshop was about having students create their own math dictionaries where definitions (with examples and pictures) were kept, and lessons and worked examples from each school day would be stored. I quickly started working on making this a reality. Over the summer I created the template for these books, I wrote out the notes I wanted every student to copy for each day of the year leaving blanks where their samples would go, and put together a package for each student that would be continually added upon throughout the year. I was excited because these resources would house all of the definitions, all of the examples, all of the thinking from the entire year, and they would be able to use this resource for studying, for homework, and keep it for future years as a reference! June quickly came and every student had their very own personal math dictionaries we created from countless hours of work. Each was neat and complete, full of all of our thinking from the year! On the last day of school, I watched as students packed up their belongings (forgotten sweaters, old shoes, pencil cases…), handed in their textbooks, and threw out their their unwanted worksheets and duo-tangs. However, I wasn’t counting on just how happy many of my students were to throw out their math dictionaries. I tried to pull out of the garbage and recycling bins each book to save anyway. We tend to make mistakes at different levels. Story 1 showed one of the many simple mistakes I make. They are quick little things that are often due to carelessness, forgetting things, accidents… When we make mistakes like this, what matters is how we show our students how WE handle mistakes. If we make a calculation error, do we get embarrassed? Do we pretend it didn’t happen? Do we turn it into a teachable moment? This really matters! If we show our students that we aren’t comfortable with us making mistakes, what unintended messages will this send? In my second story I shared a mistake I made by not reading carefully and not being fully prepared for a lesson. Mistakes that cause us to redo something because we noticed that something isn’t working are great mistakes to make. When we realize that we have taken a wrong path, we come to see just how important the bigger things are. We learn to be more intentional because of our mistakes! In this situation, we realized that we could differentiate the learning in the classroom without ability grouping, and that if we have larger groups (4 students) we still need to give everyone something that they are responsible for. The third story is a story I don’t share much. Probably because I had spent an entire year getting my students to memorize, follow procedures, copy out worked examples… My students eagerly throwing out their books was great feedback for me (I didn’t think it was great at the time though). Over time, I came to see that I was teaching my students instrumentally! Not only did my mistake help me to notice just how unhappy my students were in my math class, it helped me realize why my students had done so poorly on their provincial testing (they were the lowest results I’ve ever had). I was also able to reflect on what it means to learn mathematics and what it means to be engaged in thinking mathematically. Recognizing we are taking a path that isn’t beneficial for students requires us to see other approaches, understand the research, experience learning mathematics ourselves in ways that help us understand the concepts deeper. Mistakes like this are not only difficult to recognize, they are difficult to change. It has been a long road for me to continue to develop my own math knowledge for teaching, but I know that it started when I started realizing math is more than memorizing, more than rules and procedures, more than a collection of unrelated topics. When you make little errors in front of your students, how do you react? What do your students think about making mistakes in front of others? Is there a relationship? Can you think of a time you made a mistake with a lesson, or in teaching a unit? These types of mistakes are easy to learn from, but we need to take advantage of these opportunities. How have you learned from your mistakes? Recognizing and reflecting on our practices that reflect our beliefs is probably the most difficult for us to do. So, how can we find out which teaching practices are helping our students learn? How can we find opportunities for our students to give US feedback? What experiences help us reflect on our own beliefs about what is important for our students to do? What experiences help us reflect on our own beliefs about how students learn mathematics? How do the beliefs I have shared here in this post relate to yours? …a child first has to learn the foundational skills of math, like______? I’ve been spending a lot of time lately observing students who struggle with mathematics, talking with teachers about their students who struggle, and thinking about how to help. There are several students in my schools who experience difficulties beyond what we might typically do to help. And part of my role is trying to think about how to help these students. It seems that at the heart of this problem, we need to figure out where our students are in their understanding, then think about the experiences they need next. However, first of all I want to point out just how difficult it is for us to even know where to begin! If I give a fractions quiz, I might assume that my students’ issues are with fractions and reteach fractions… If I give them a timed multiplication test, I might assume that their issues are with their recall of facts and think continued practice is what they need… If I give them word problems to solve, I might assume that their issue is with reading the problem, or translating a skill, or with the skill itself……. Whatever assessment I give, if I’m looking for gaps, I’ll find them! So where do we start? What are the foundations on which the concepts and skills you are doing in your class rest on? This is an honest question I have. Take a look at the following quote. How would you fill in the blank here? Really, take a minute to think about this. Write down your thoughts. In your opinion, what are the foundational skills of math? Why do you believe this? This is something I’ve really been reflecting on and need to continue doing so. I’ve asked a few groups of teachers to fill in the blank here in an effort to help us consider our own beliefs about what is important. 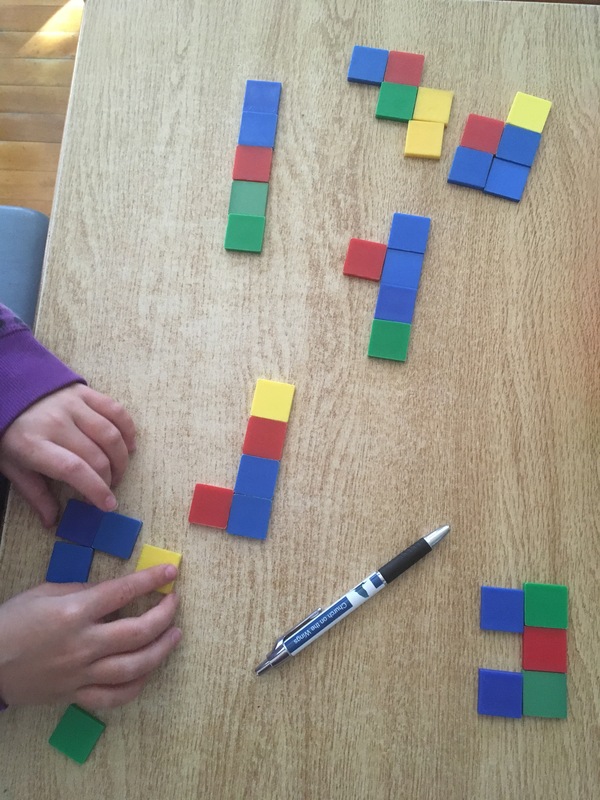 To be honest, many of the responses have been very thoughtful and showcased many of the important concepts and skills we learn in mathematics. However, most were surprised to read the full paragraph (taken from an explanation of dyscalculia). Is this what you would have thought? For many of us, probably not. In fact, as I read this, I was very curious what they meant by visual perception and visual memory. What does this look like? When does this begin? 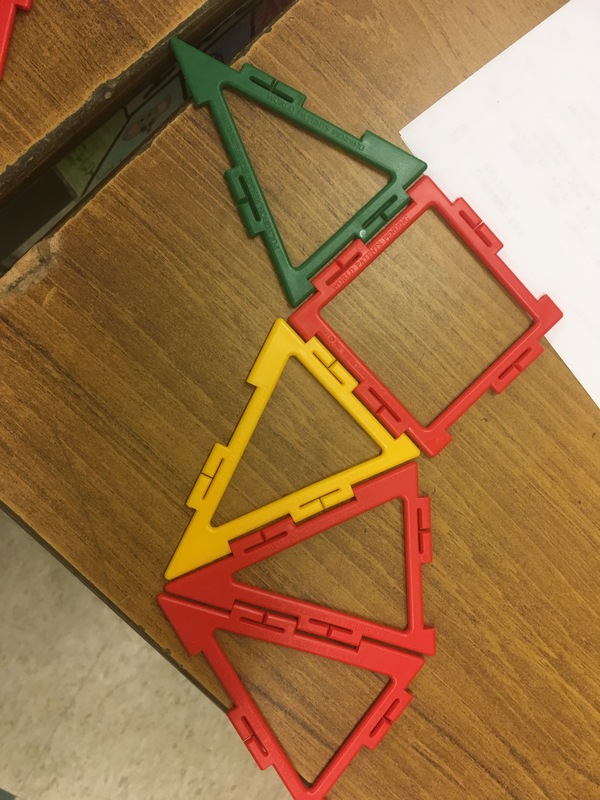 How do we help if these are missing pieces later? Recognizing & performing rotations & reflections. Orienting ourselves, giving & following directions from various perspectives. 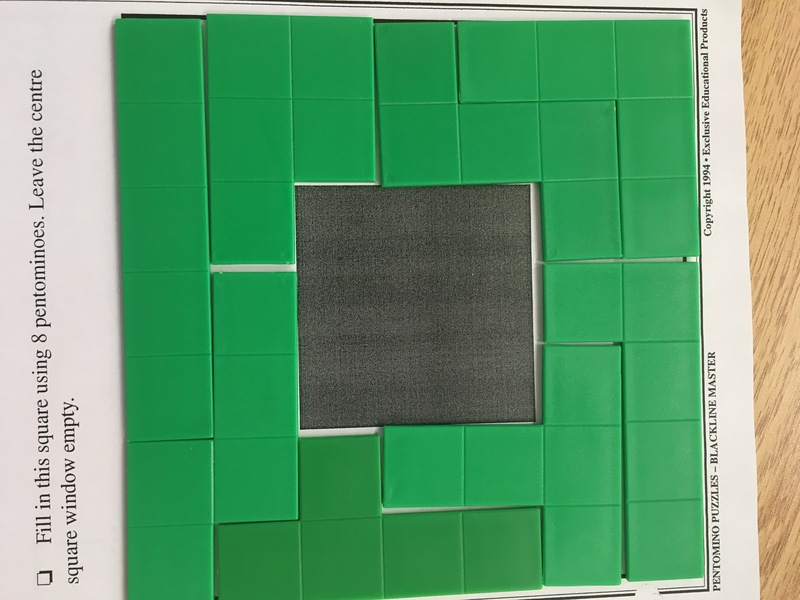 While much of this can be quite complicated (if you want, you can take a quick test here), for some of our students the visual perception and visual memory is not yet developed and need time and experiences to help them mature. Hopefully we can see how important these as for future learning. If we want our students to be able to compose and decompose numbers effectively, we need lots of opportunities to compose and decompose shapes first! If we want our students to understand quantity, we need to make sure those quantities make sense visually and conceptually. If we want students to be flexible thinkers, we need to start with spatial topics that allow for flexibility to be experienced visually. 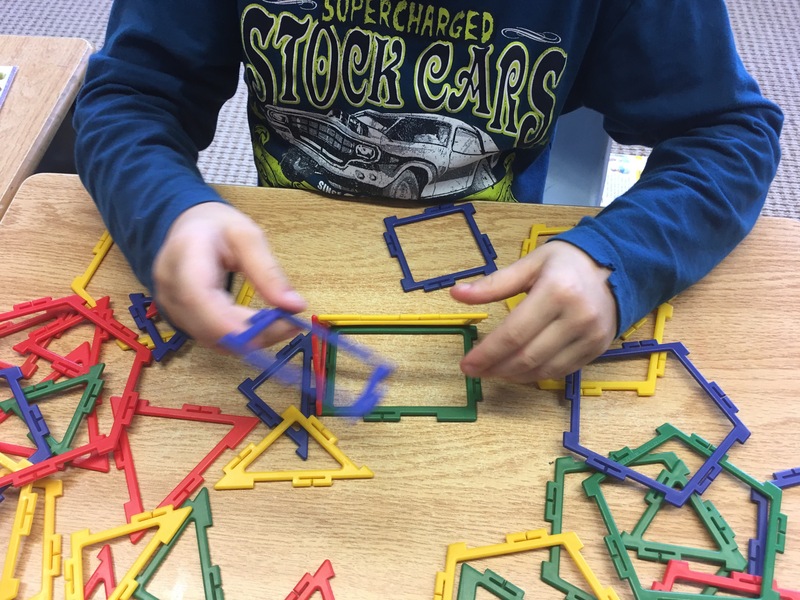 If we want students to be successful we can’t ignore just how important developing their spatial reasoning is! And the work in various grades continues to help support all of our students! What do you do with students who are really struggling with their mathematics? Have you considered dyscalculia and the research behind it? 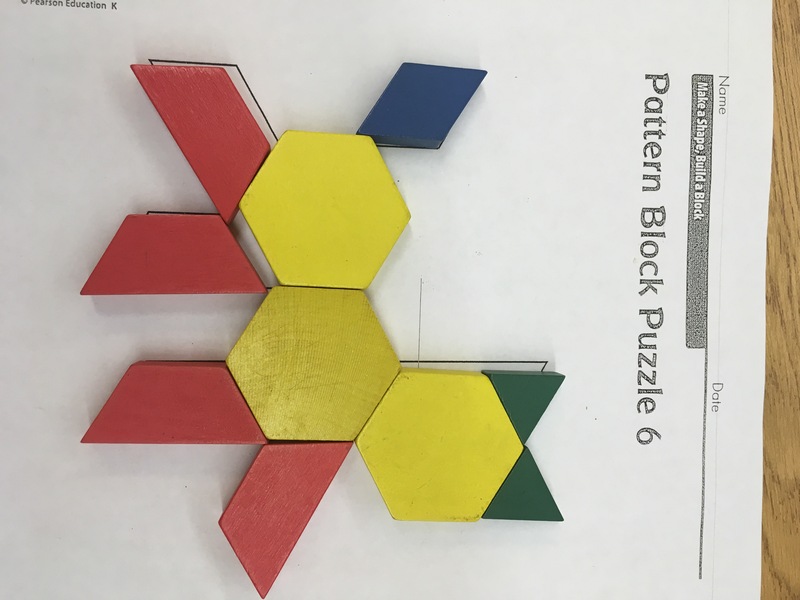 How might you incorporate spatial reasoning tasks / problems for all students more regularly? 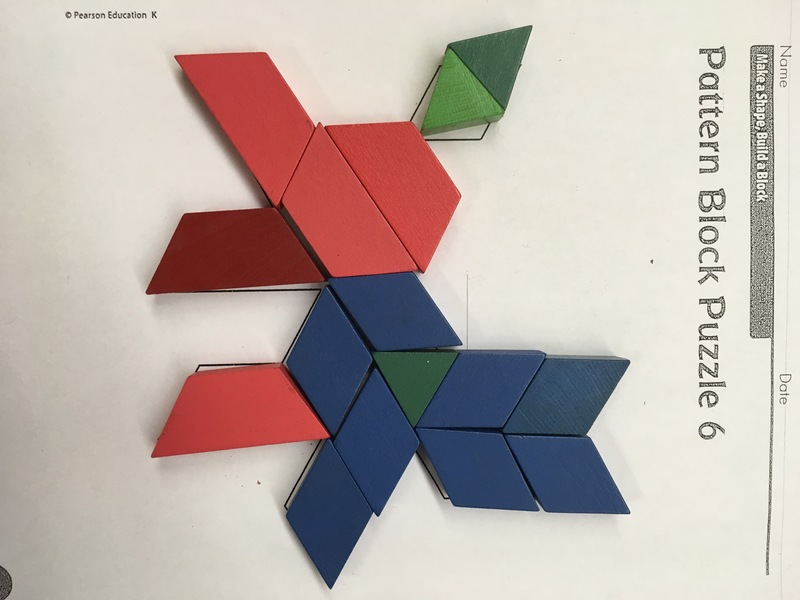 How does this work relate to our use of manipulatives, visual models and other representations? What do we do when we notice students who have visual perception and visual memory issues beyond what is typical? How can Doug Clements’ trajectories help us here? If we spend more time early with students developing their visual memory and visual perception, will fewer students struggle later??? I’d love to hear your thoughts. Leave a comment here or on Twitter (@MarkChubb3). The smallest decisions have the biggest impact! In my role, I have the advantage of seeing many great teachers honing and refining their craft, all to provide the best possible experiences for their students. The dedication and professionalism that the teachers I work with continue to demonstrate is what keeps me going in my role! Who gets the most talk time? You, all students, same few students…? How much think time do you give? When? Do you show first, or allow time for students to make sense on their own first? Do you start with contexts or visuals or questions or explanations? Do you build the problem together, or provide pre-determined questions? Do you expect manipulatives to be used by all, encourage anyone who wants to use them, or offered only for those who you think need it? Do you discuss the learning goal at the onset, during the close, or never? When a student is struggling, do you ask them questions that get them to think, or ask questions that lead them to the answer? There are so many little decisions we make (linked above are posts discussing several of the decisions). However, I want to discuss a topic today that isn’t often thought about: Scaffolding. For the past few months, the teachers / instructional coaches taking my Primary/Junior Mathematics additional qualifications course have been leading lessons. Each of the lessons follow the 3-part lesson format, are designed to help us “spatialize” the curriculum (allow all of us to experience the content in our curriculum via visuals / representations / manipulatives), and have a specific focus on the consolidation phase of the lesson (closing). After each lesson is completed I often lead the group in a discussion either about the content that we experienced together, or the decisions that the leader choose. Below is a brief description of the discussion we had after one particular lesson. 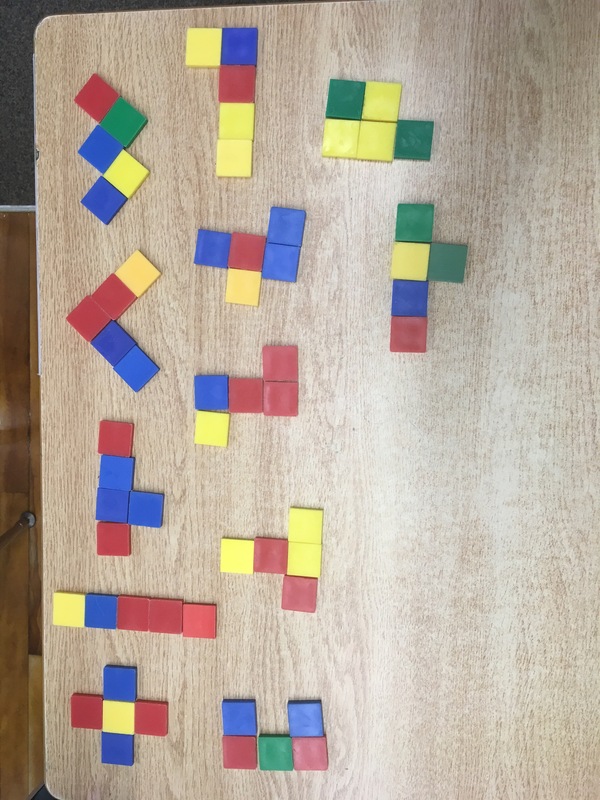 As a warm up we were asked to figure out how many unique ways you can arrange 4 cubes. We did a quick gallery walk around the room to see others’ constructed figures. 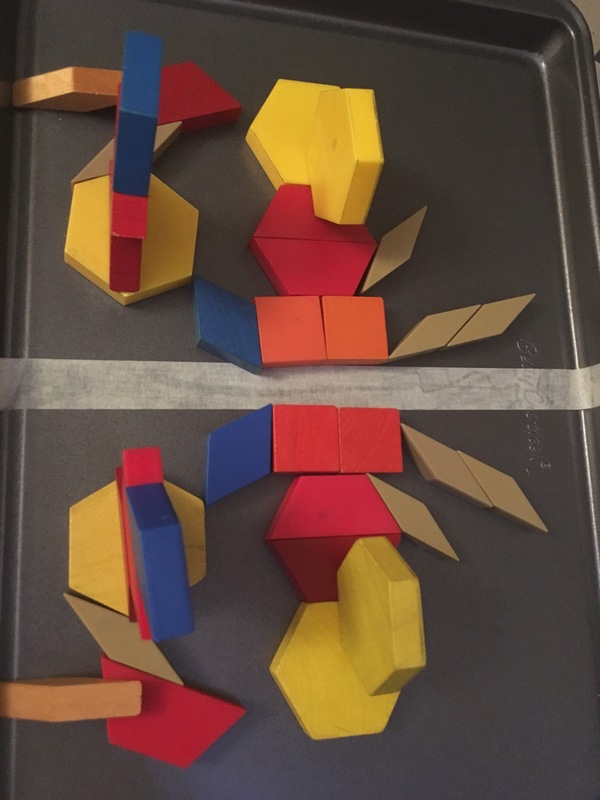 We shared and discussed the possible unique ways and debated objects that might be rotations of other figures, and those that are reflections (take a look at the 8 figures below). The 3 pages of problems were given to all (see below). Everyone had time to work independently, but sharing happened naturally at our tables. The lesson close included discussions about how we tackled the problems. Strategies, frustrations, what we noticed about the images… were shared. This decision, while seemingly simple, tells our students a lot about your beliefs about how learning happens, and what you value. The more scaffolded approach (option 2) is likely easier for us. We can control the class easier and make sure that all students are following along. Some felt like it might be easier for us to make sure that we didn’t miss any of our struggling students. However, many worried that this approach might inhibit those ready to move on, and frustrate those that can’t solve it quickly. Some felt like having everyone work at the same pace wasn’t respectful of the differences we have in our rooms. On the other hand, some felt that handing out all 9 puzzles might be intimidating for a few students at first. However, others believed that observing and questioning students might be easier because there would be no time pressure. They felt like we could spend more time with students watching how they tackle the problems. Do we value struggle? Are we comfortable letting students productively keep trying? Are we considering what is best for us to manage things, or best for our students to learn (teacher-centered vs student-centered)? What is most helpful for those that struggle with a task? Lots of scaffolding, telling and showing? Or lots of time to think, then offer assistance if needed? In reality, neither of these ways will likely actually happen though. Those who start off doing one problem at a time, will likely see disengagement and more behaviour problems because so many will be waiting. When this happens, the teacher will likely let everyone go at their own pace anyway. Similarly, if the teacher starts off letting everyone go ahead at their own pace, they might come across several of the same issues and feel like they need to stop the class to discuss something. While both groups will likely converge, the initial decision still matters a lot. Assuming the amount and types of scaffolding seems like the wrong move because there is no way to know how much scaffolding might be needed. So many teachers default by making sure they provide as much scaffolding as possible however, when we over-scaffold, we purposely attempt to remove any sense of struggle from our students, and when we do this, we remove our students’ need to think! 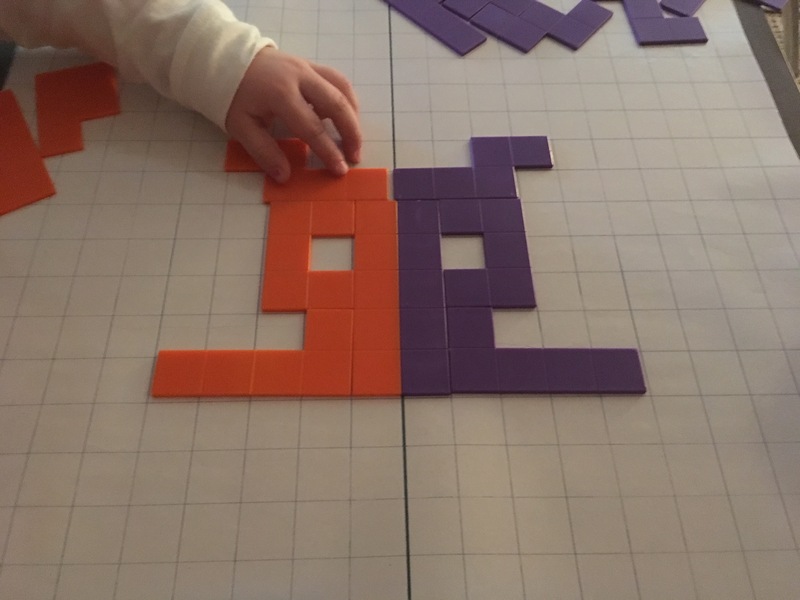 When we start by allowing our students to think and explore, we are telling our students that their thoughts matter, that we believe they can think, that mathematics is about making sense of things, not following along! Do your students expect you to scaffold everything? Do they give up easily? How can we change this? When given an assignment do you quickly see a number of hands raise looking for help? Why is this? How can we change this? At what point do you offer any help? What does this “help” look like? Does it still allow your students opportunities to think and make sense of things? When we scaffold everything, we might be helping them with today’s work, but we are robbing them of the opportunity of thinking. When we do this, we rob them of the enjoyment and beauty of mathematics itself! Last June (2016) I started writing this blog. I’m not exactly sure what got me started to be honest, probably because I have been inspired by so many others’ blogs, possibly thanks to @MaryBourassa’s encouragement! Whatever helped me get started, I am still not sure WHY I am blogging. So you want your students to have a Growth Mindset? Exit Cards – What do your’s look like? How to change everything and nothing at the same time! Is That Even A Problem??? So, I’m left wondering, why are some posts more popular and others less so? Are my least popular posts less read because they are more confrontational? Do they offer less for others to relate to? And why do some posts get retweeted or commented on more? Is it because they offer more chance for reflection, or is it the topic…? And more importantly, is this what I’m aiming for? Is the purpose of this blog to share with others and hope it will be read, or is it for me to continue to write so I can reflect on my own thinking/decisions??? Is it about making connections with others? Or about my own learning? Or about helping others reflect??? I am left wondering what about blogging is different than reading others’ blogs? How is this helpful and to whom? While I don’t think I have the answers to my questions, I do know that I am continuing to learn and that my thoughts are getting others to consider their own teaching. Hopefully as I continue writing, I will start to find the answers to WHY I do what I do. Hopefully this blog will continue to be an important aspect to my work in 2017 as well! Thanks for reading. I’d love to know why you read math blogs. Or what it would take to get you started writing your own!